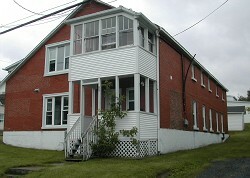 " Gédéon Simoneau Prop. " 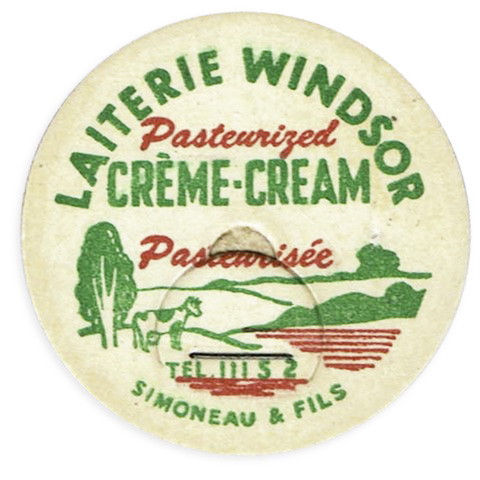 Windsor Dairy was situated in Windsor, corner of Du Moulin and 1th Avenue. 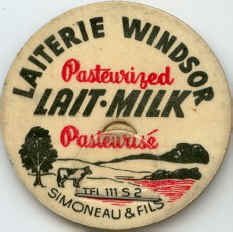 In 1950, M. Gédéon Simoneau started his milk business with the purchase of all the milk routes of the "Bergeron Dairy". 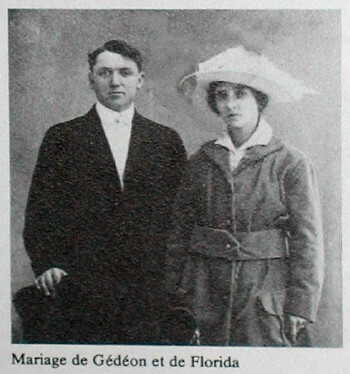 M. Gédéon Simoneau (no link with the "Simoneau Dairy" from the same city) was married with Florida Montminy. Two of their children worked at the dairy. Alcide was in charge of the sales and deliveries while Camille was the director doing the work inside the dairy. 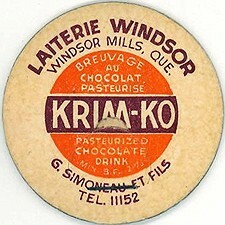 In 1955, the Simoneau's family from "Windsor Dairy" tooke the decision to close the Windsor Dairy. 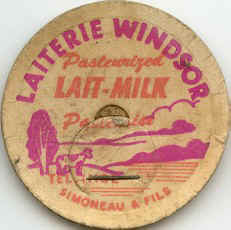 Milk routes were sold to Mr. Aloysius Simoneau from "Simoneau Dairy" and all the equipements were sold to "Leclerc Dairy" which at that time was very popular in Sherbrooke. 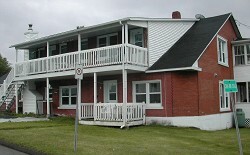 The building (the dairy) was rebuilt to make house apartments.